Service Matters was seeking to acquire new customers through targeted, engaging and creative direct marketing. We introduced Service Matters’ new cleanroom laundry service and invited potential clients to “see the light” using the enclosed ultraviolet torch. Potential clients were identified that fitted the profile (based on industry and decision making role). 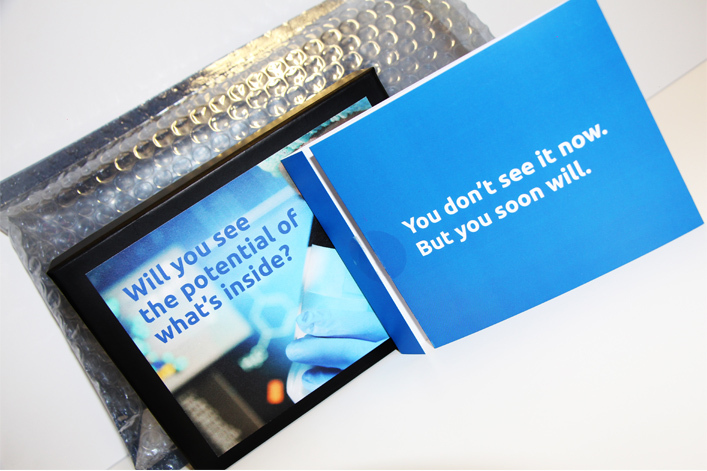 Each prospect was sent a pack containing a UV torch and a brochure printed partially with invisible ink. Invisible problems tend to be the ones that cause the most difficulties, especially in a cleanroom environment! We invited the recipients to shine their UV torch on the invisible ink to demonstrate how Service Matters gives real visibility and to reveal if they had won a free cleanroom garment audit worth up to €500. This campaign helped the client win new business and won awards for DMCM based results and creativity.